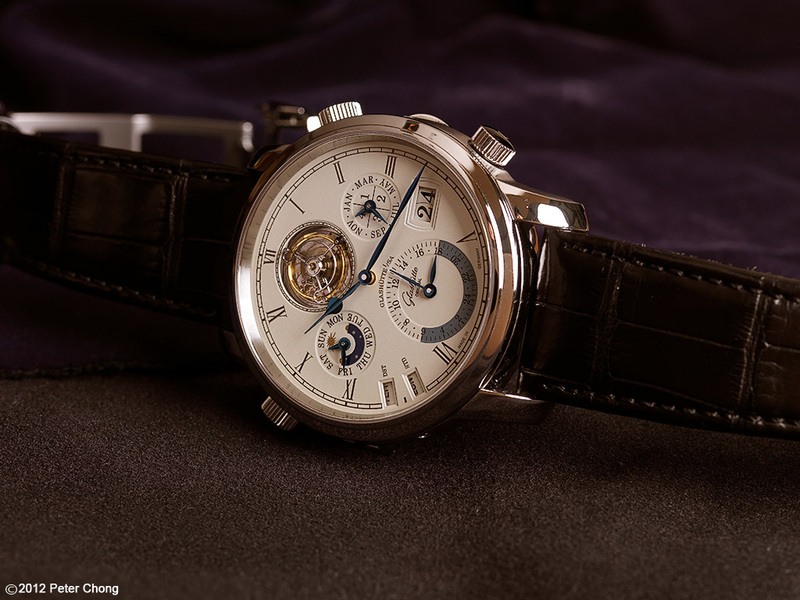 Glashutte Original is one of the few truly self sustaining watchmakers in the industry. The value addition and self reliance was born out of neccessity, when they operated as GUB during the GDR times. And continued to the modern GO re-founded by Pfeiffer in the early 1990s. 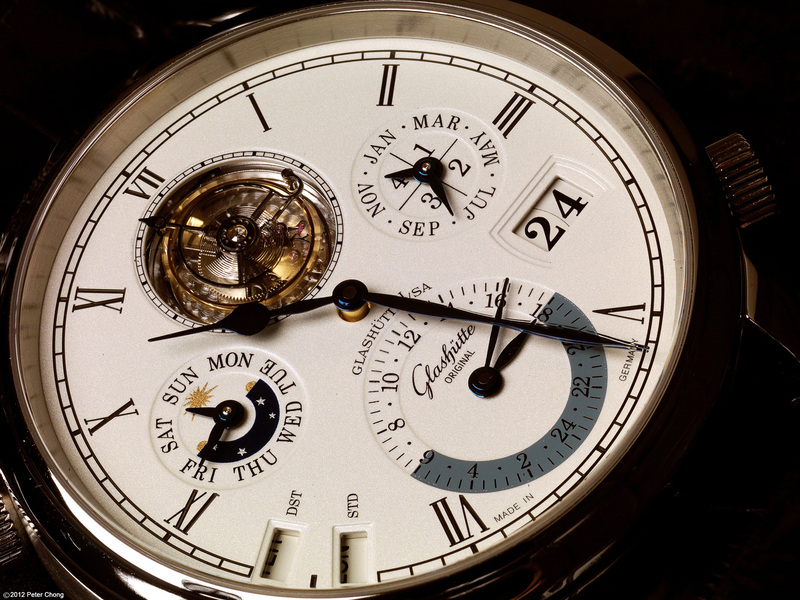 For BaselWorld 2012, GO announced a very complicated timepiece, many years in the making, and now available in a limited edition of only 25 pieces. 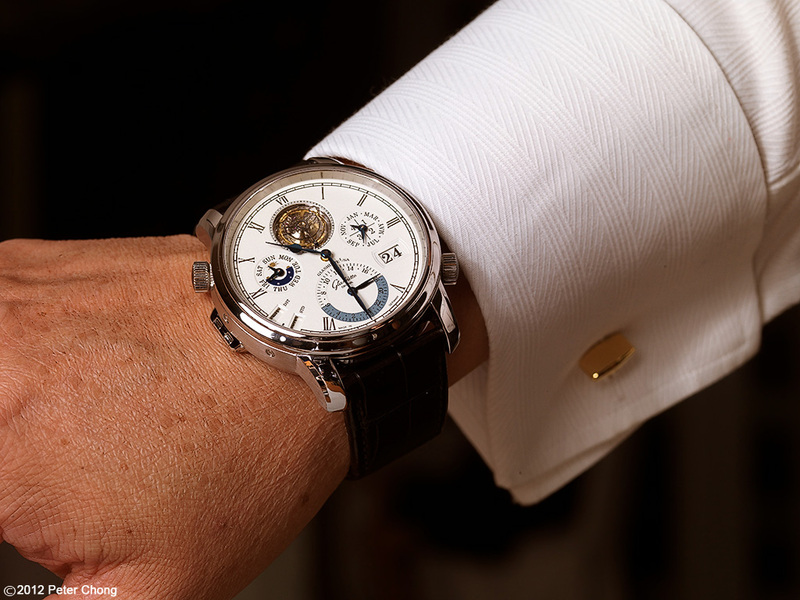 Please do note the watch being photographed is the touring prototype. 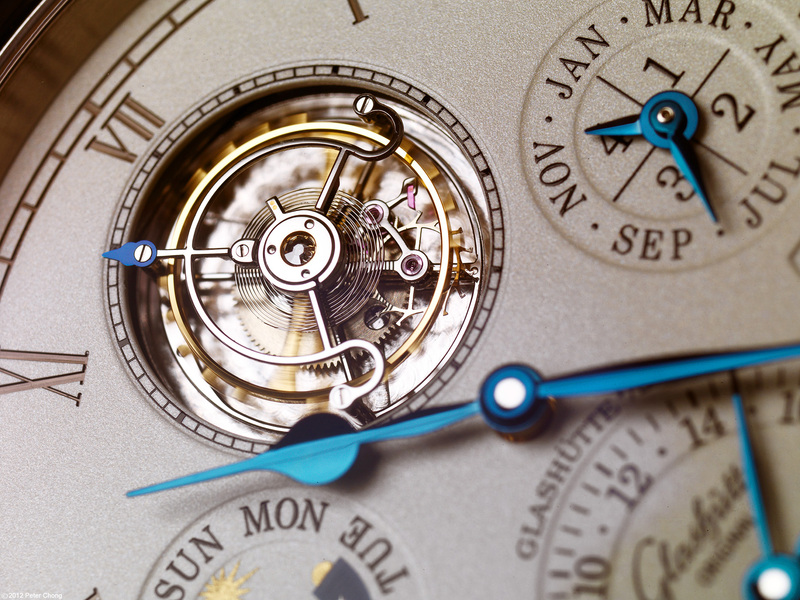 The flying tourbillon, long a trademark of GO is magnificent and beautifully done, takes center stage at 12 o'clock. 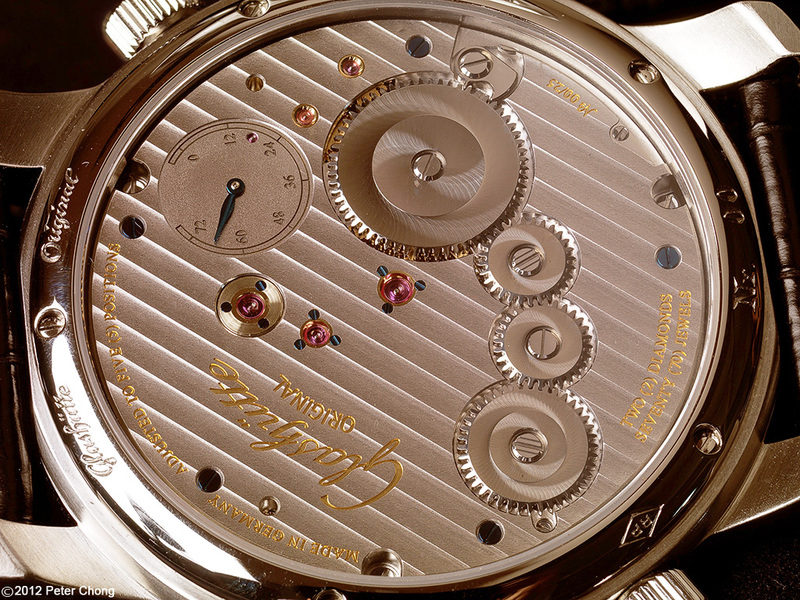 The movement, Caliber 89-1 is quite beautifully finished, with glittering anglage, gold chatons secured by blued screws, Breguet hairspring and flying winding wheels with double sunburst. 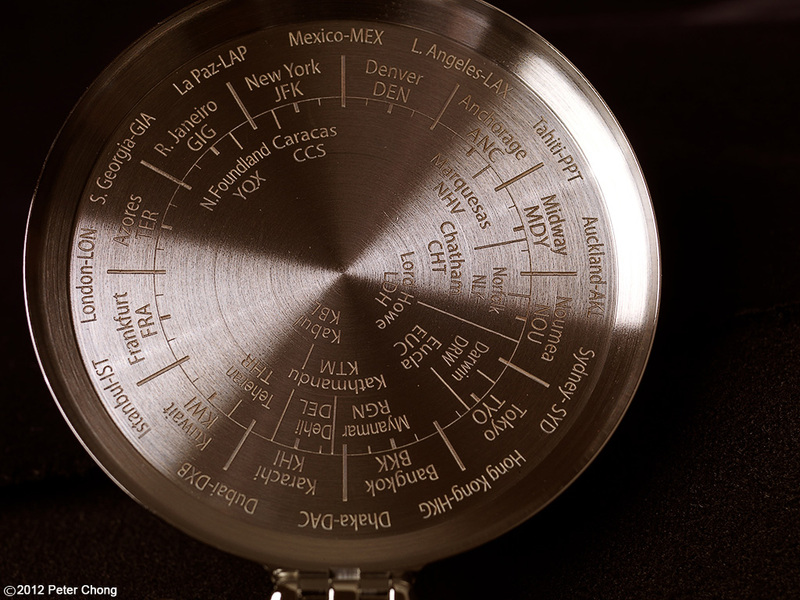 The watch is equipped with a hunter back, engraved with the 37 timezones and their three letter IATA airport code.